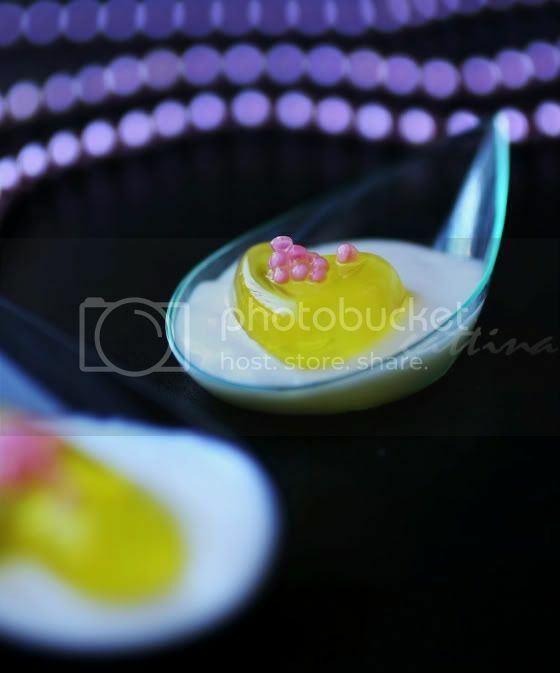 Ok, you know they are not real egg and caviar. So this dish isn't savory at all, I am making one of the popular Asian desserts. The yolk is mango jelly. I used 100% veg agar-agar instead of gelatin. The egg white is coconut cream. 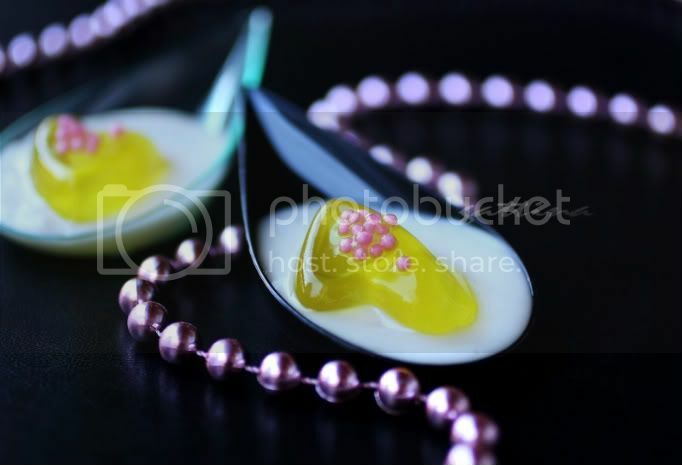 The caviar is pearl-shaped tapioca. All these ingredients are easily found at any Asian store. Valentine's Day is coming. So I molded the jelly into a heart shape, spooned the dessert into many amuse bouche's plastic plates... so everybody can be in love! wow I just feel like popping one into my mouth, yum ! That makes me want to wish you a Happy Valentine's Day Gattina. So pretty! I love this combination. G,these are so sweet. Happy new year.